Tachi kumiuchi is fighting with sword and yoroi but tachi alone also means standing up. In fact tachi kumiuchi is about acquiring the ability to keep our balance. The tachi (sword) too is balanced but on a horizontal plane, sensei insists on this in each class. When the tachi is in the belt with the cutting edge down, it protrudes more than the katana. The way it is balanced in the belt is linked to the size and weight of the weapon. 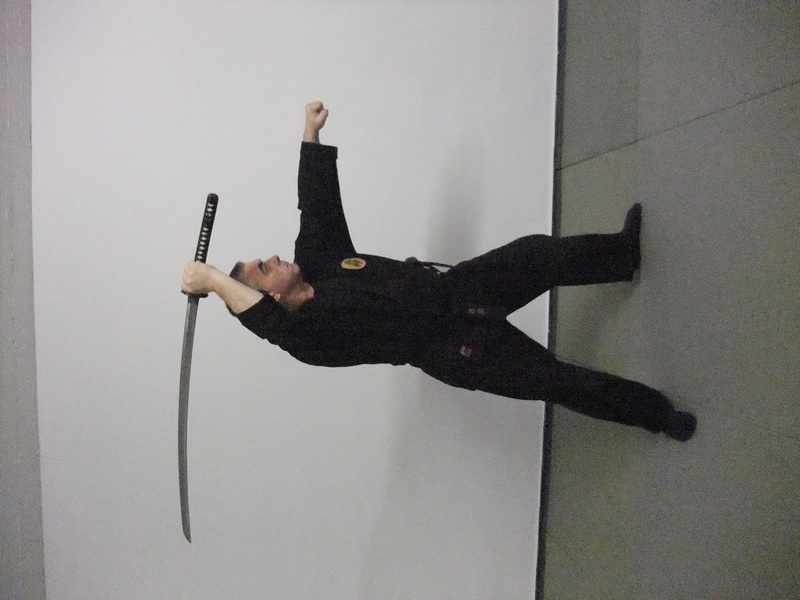 By having your body standing up vertically (ten ryaku) and your sword balanced at the hip (chi ryaku) you link the ten and the chi through the jin (adapting the movements to the situation). You are free to move in all directions balanced by the tenkan (axis, pivot). Juppô sesshô is created because your movements can go in any direction during the encounter with the opponent (kumiuchi). Adding the perception of the dragon to the movements of the tiger, you are fed by the kaitatsu and flow (nagare) naturally with things. Training in tachi kumiuchi develops the knowledge on how to use the weapon but enlighten us also on how to handle our life better. What sensei is teaching is to bring things to life, ikasu and get a happy life. Awesome, thank you for your insights!